December and January are the time to add a little something extra to your outfits. Fur, velvet, metallics and sequins are all fair game even if they’re not in your rotation 365 days a year. 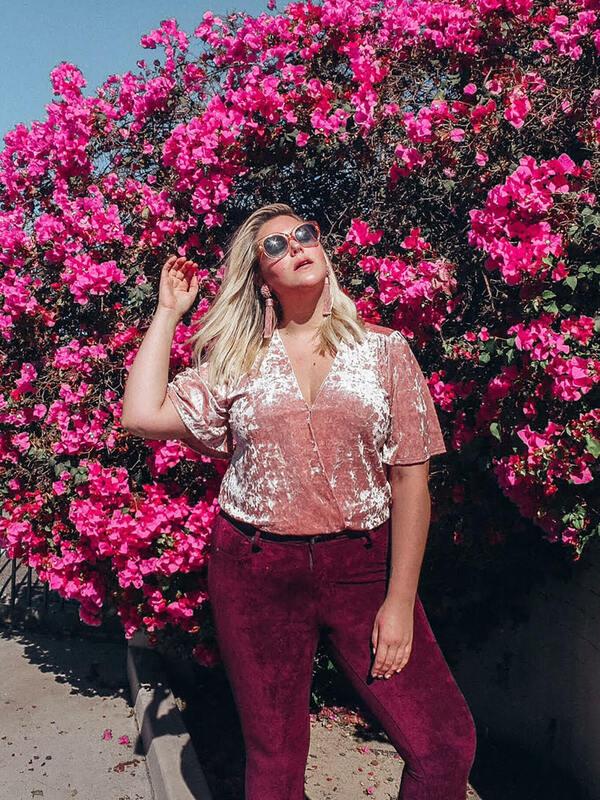 If you need a little extra inspiration for your holiday outfits, see how our favorite fashion bloggers are wearing the most-loved holiday trends. Get inspired by their holiday looks! The holidays are a time to add something extra your outfits—like velvet and jewel tones (or both!). Get inspo from Alex from Alex Michael May who paired these two trends together and tied it all together with a pair of statement earrings. If you’re not ready to dive headfirst into two trends at once, just got with one and try it with your favorite jeans or your favorite work trousers. Get to know the holiday’s most touchable textures! Take a fashionable cue from Gina from Hunt For Styles who says, “Play with textures like a deep fleece and wool skirt to play up the cozy factor, and then give it a twist by keeping the ensemble in the same color palette.” A teddy coat (an ultra plush jacket) goes with everything this season—we mean it! 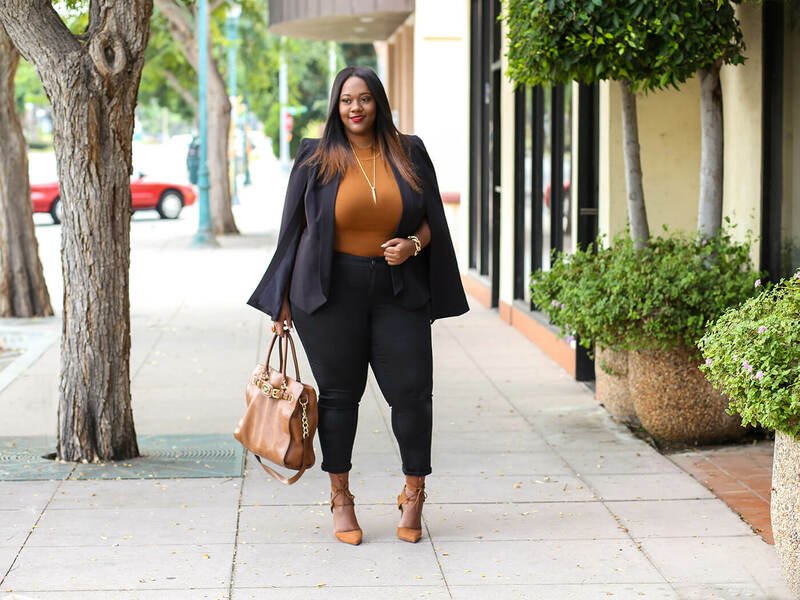 If you like to take the polished approach during the holidays, look to one of our favorite fashionistas Kristine of Trendy Curvy who makes getting glam look easy. Her favorite holiday staple? “A blazer is timeless, versatile and so easy to wear.” Paired with sleek, black denim and a well fitted knit, it’s the best of both worlds—comfort and style! Nothing says the holidays quite like a pop of red! This season, have a few items in your closet that you can dress up or down. Wear color like Lorraine from Viva Fifty by pairing a bright color with basics or going even bolder with another color—because yes, you can color block. Which holiday look will you try? Tell us in the comments!